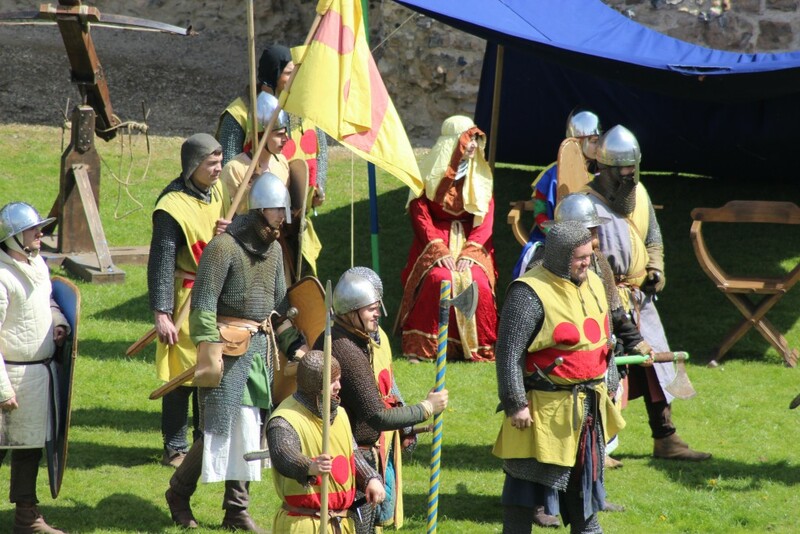 It’s not everyday you are greeted by knights in armour before being transported back in time to 1216 to join in the siege of Framlingham Castle. That’s why events are so fantastic in bringing attractions to life! I knew I was in for a good day when as I approached the entrance to the castle I could hear lots of cheering! There was a great atmosphere inside and I decided to head up to the wall walk to get a birds eye view of what was going on. Looking forward to Cheering for the Knights! There was a full timetable for the day with lots to look forward to and great opportunities for exploring the castle when not enjoying the drama unfolding before our eyes! Having climbed the stairs to get a good view, I was following someone who had what looked like a plastic rifle sticking out of his ruck sack. Strange thing to bring I thought, all became clear when I saw his 4 year old son in front of him dressed as a cowboy, who had now obviously swapped his cowboy rifle for a more appropriate plastic sword! 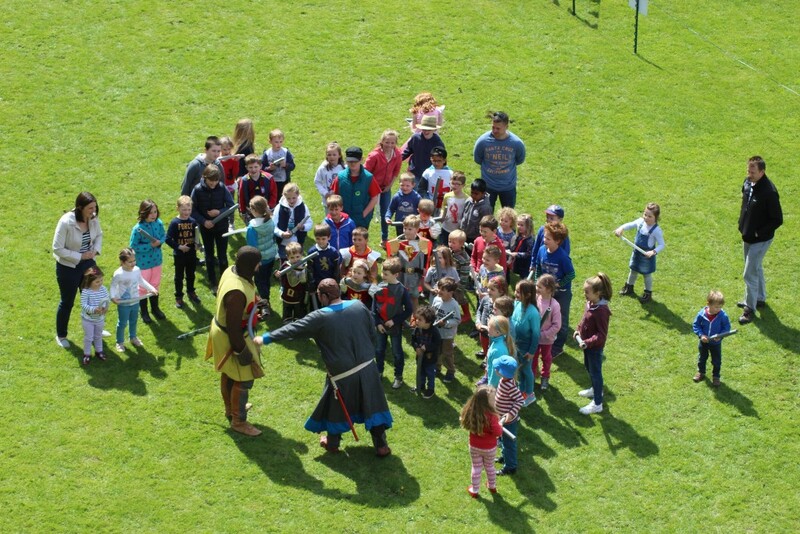 There were lots of children thoroughly enjoying themselves and before long they all were invited to join in and practice their sword skills before joining in the children’s battle! 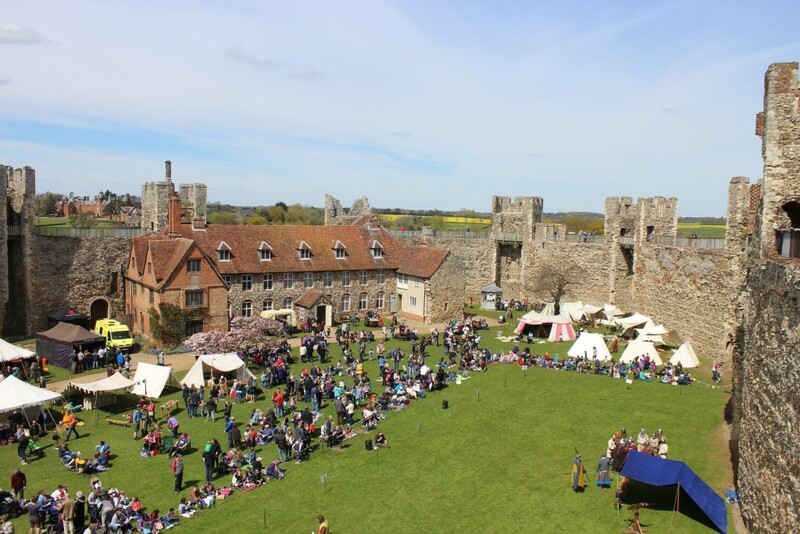 It was lovely to see so many visitors at the castle and it’s not difficult to see why it’s in the top 50 things to do in Suffolk. It really is an ideal for a day out for all the family.